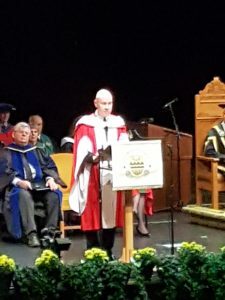 On Wednesday, November 21st, our Music Director Jeremy Spurgeon received an honorary Doctor of Letters from the University of Alberta. Congratulations Jeremy! We are so happy for you and this is a well deserved honour!